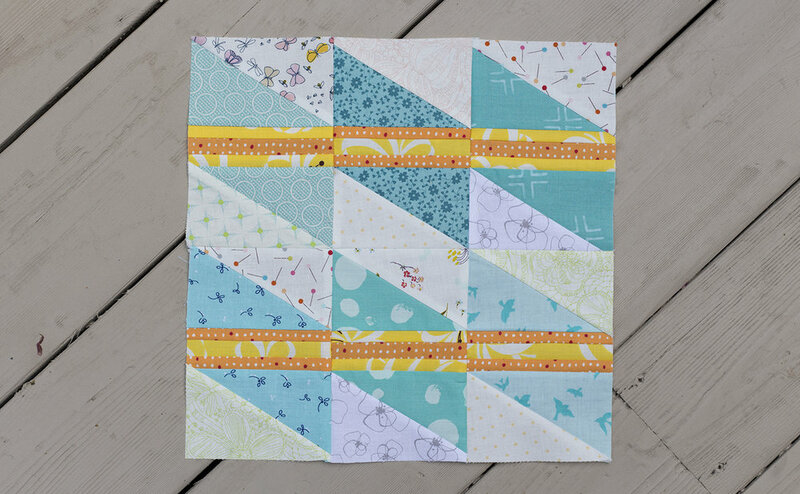 We have reached the halfway point of the Summer Sampler 2016 quilt along ~ woohoo! Block ten, Parallel, is designed by Holly DeGroot of Bijou Lovely. This block is assembled using foundation paper piecing, and uses my old frenemy...geometry. For those fairly new to foundation paper piecing, this one will be a little more challenging than XSpot, which was paper piecing strips. But once you get the feel for working with angles, a new world will open up to you. Here's all ten blocks together!